Saccharomyces lysate extract is a type of yeast that is used in cosmetics and skin care products for its ability to improve absorption, add beneficial nutrients, decrease irritation, and optimize cellular oxygen consumption. Saccharomyces is a genus of fungi that includes many species of yeasts. These yeasts are primarily used in the brewing of beer. While the presence of yeast in beer was first suggested in 1680, the genus was not named Saccharomyces until 1837. Then, in 1876, Louis Pasteur demonstrated the involvement of living organisms in fermentation. In 1896, German chemist Eduard Büchner discovered that the fermentation enzymes found in yeast cells would remain active even after extraction from the cells as long as they were not boiled. In addition to use in brewing, saccharomyces can also be used to create fermented skin care products. This trend originated in South Korea, with a long history stretching back to the Joseon Dynasty. Recently, fermented skin care has made its way over to the west and is becoming more and more popular. You’ll find saccharomyces lysate extract in products such as moisturizers and anti-aging treatments. To understand the functions of saccharomyces lysate extract, its first important to discuss how fermented ingredients work in skin care products. 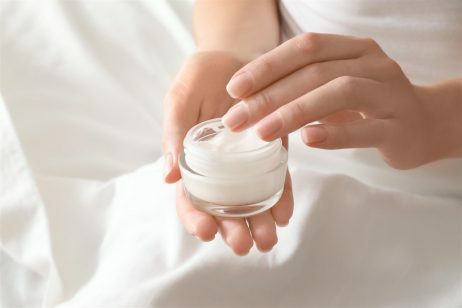 The benefits of fermented ingredients in skin care is similar to the benefits provided by fermented foods and digestive enzyme supplements, which aid in the absorption and digestion of the nutrients you consume. In skin care products, microorganisms like bacteria or yeast release enzymes that break down other ingredients into smaller molecules. Active ingredients in skin care products are often too large to penetrate deeply into the skin, so by breaking them down into smaller molecules, saccharomyces lysate extract facilitates the absorption of these ingredients. Better absorption leads to better results. In addition to easier and quicker absorption, fermentation works to increase the nutrient density, making the product’s ingredients more powerful. Fermented yeast (like saccharomyces lysate extract) adds beneficial nutrients to the product formulation since the fermentation process produces amino acids and peptides. Both of these nutrients help to stimulate the skin’s cellular renewal. Saccharomyces lysate extract functions to soothe the skin with its anti-irritant properties. Fermented ingredients reduce the risk of skin irritation by neutralizing toxic substances, such as heavy metals and pesticides that may be present in trace amounts. By neutralizing toxins, saccharomyces lysate extract makes the product safer, more effective, and better tolerated for sensitive skin types. Another way saccharomyces lysate extract helps to soothe the skin is through the production of beta-glucan. Beta-glucan is a polysaccharide sugar derived from yeast or oats that has some antioxidant properties and is a skin-soothing agent. According to skin care expert Paula Begoun, beta-glucan is considered an excellent ingredient for improving the look of redness and other signs of sensitive skin. Finally, saccharomyces lysate extract functions to increase oxygen flow to skin cells. The theory behind increasing oxygen consumption is that the more efficiently a cell consumes oxygen, the less oxygen is available to become excited to form destructive reactive oxygen species (ROS). ROS are detrimental because they can damage important cellular components, such as collagen, elastin, DNA, cell membranes, etc. Thus, by optimizing cellular oxygen consumption, saccharomyces lysate extract helps to prevent formation of ROS while helping the mitochondria produce the energy that cells need to function properly. Safety data on the use of saccharomyces lysate extract in cosmetics and skin care products is limited. 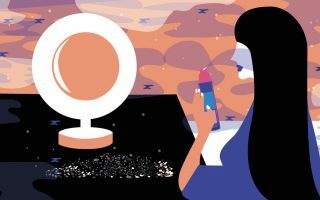 EWG’s Skin Deep Cosmetic Database finds saccharomyces lysate to be 99% safe for use in cosmetics and personal care products, and no other studies were found that reported adverse side effects. References: Wikipedia, “Saccharomyces”, The Klog, “Why Fermented Ingredients are Crucial to Korean Skin Care”, 2017, Dermstore, “The Truth Behind The Trend: Fermented Skin Care” 2016, Paula’s Choice, “Beta-glucan”, Active Concepts Technical Data Sheet, “AC Dermal Respiratory Factor Advanced PF”, Truth In Aging, “Saccharomyces Lysate”, EWG’s Skin Deep Cosmetic Database, “Saccharomyces Lysate Extract”.